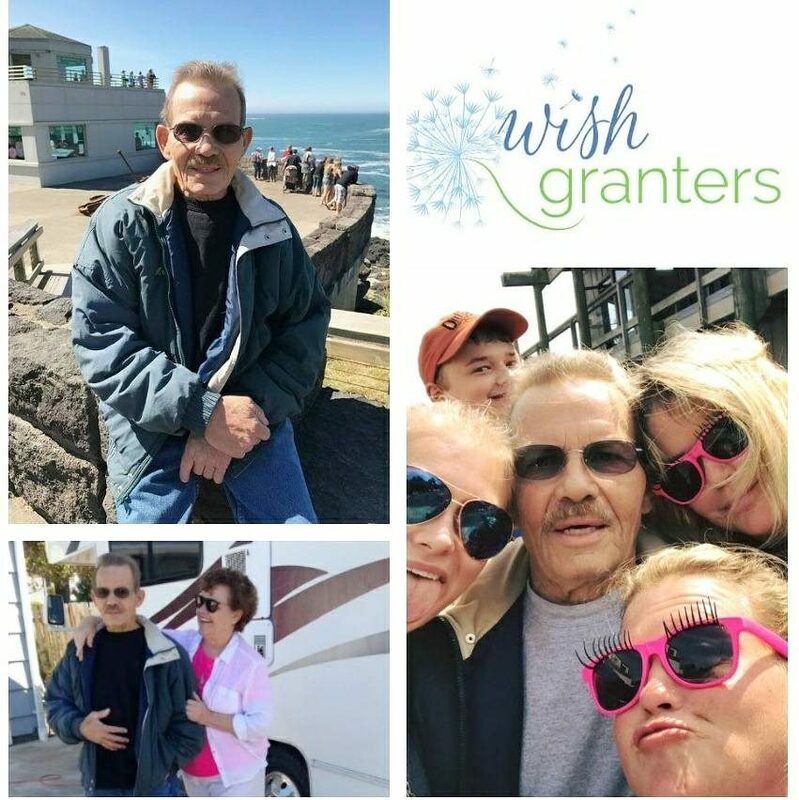 In 2018 Wish Granters granted 42 wishes! The average cost of a wish last year was $1,750 and we rely on our sponsors and donors like you to make these wishes come true. Please contact our office if you have a service to offer to help make any of these wishes come true! You can also help these wishes come true by making a generous donation here! Kimberly- (Breast cancer) wants a trip to New York with her family. Elaine- (Neoplasm of colon) Elaine wanted to visit her family in Florida. Scott- (COPD) Scott wanted a new lift chair. Betty- (COPD) Betty wanted a new lift chair. 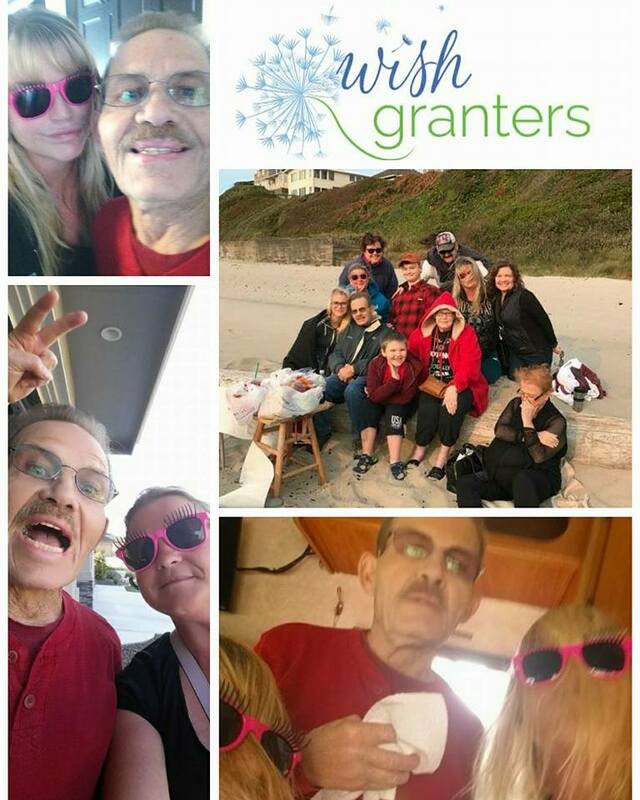 William- (Hodgkin Lymphoma) William wanted to rent an RV to visit his family on the east coast. Donald- (COPD) Donald wanted some new western wear. 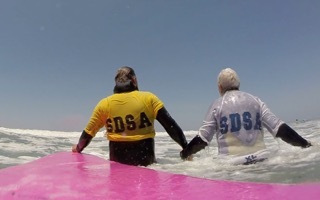 Sandra – (Bladder Cancer) Sandra wanted to take a trip to Seaside, OR with her husband. Kimberly- (COPD) Kimberly wanted to attend the dinner theater at Mountain River Ranch. Gilbert- (Heart Disease) Gilbert wanted a new lift chair. 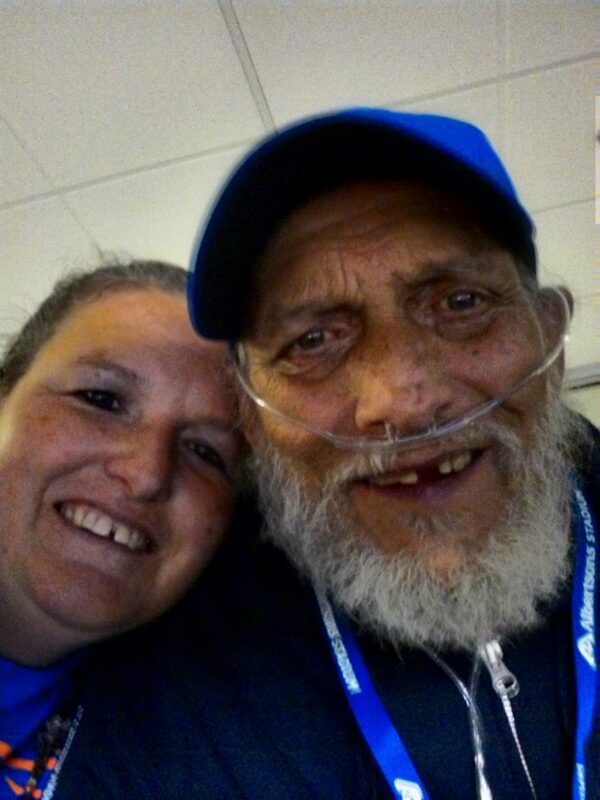 Daniel- (Cancer) Daniel wanted roofing repairs done on his home to ensure his wife does not have to worry. Ralph – (Cancer) Ralph wanted a new pillow top mattress. Jerome- (Cancer) Jerome wanted to go skydiving. Bob- (Rectal Cancer) Bob wanted to visit Opryland in Nashville, TN. Anthony- (Appendix Cancer) Anthony wanted to take a trip to Disneyland with his family. Dennis- (Prostate Cancer) Dennis wanted a Kitchenaid mixer with accessories to make baking easier. 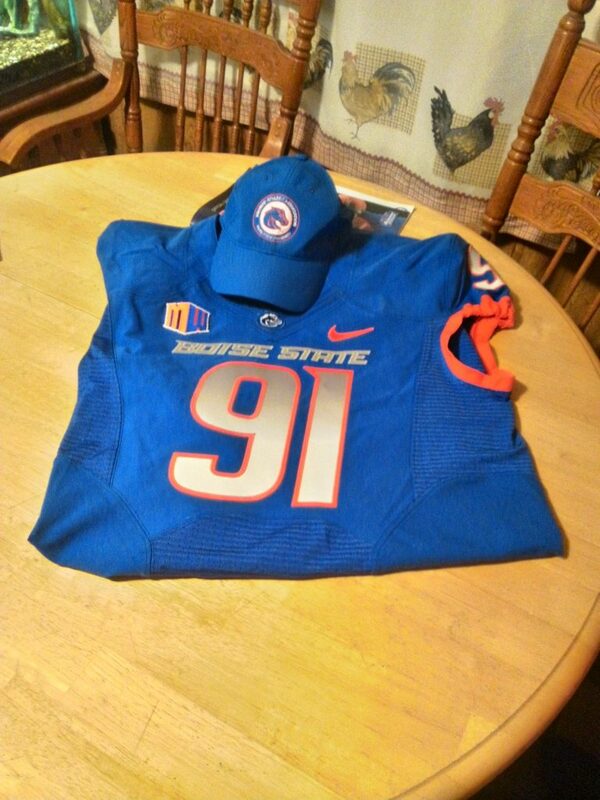 Charles- (Liver Cancer) Charles wanted to take a flight over the Treasure Valley. Les- (Malignant neoplasm of temporal lobe) Les wanted to take flight in a Kit Fox bush airplane. William- (Kidney Cancer) William wanted to visit his family in South Carolina. Tommy- (Colon Cancer) Tommy wanted to meet Keith Urban. Trent- (Colon Cancer) Trent wanted to take a shopping trip to purchase something special for his wife. Pam- (COPD) Pam wanted a tablet to use to connect and communicate with family cross country. 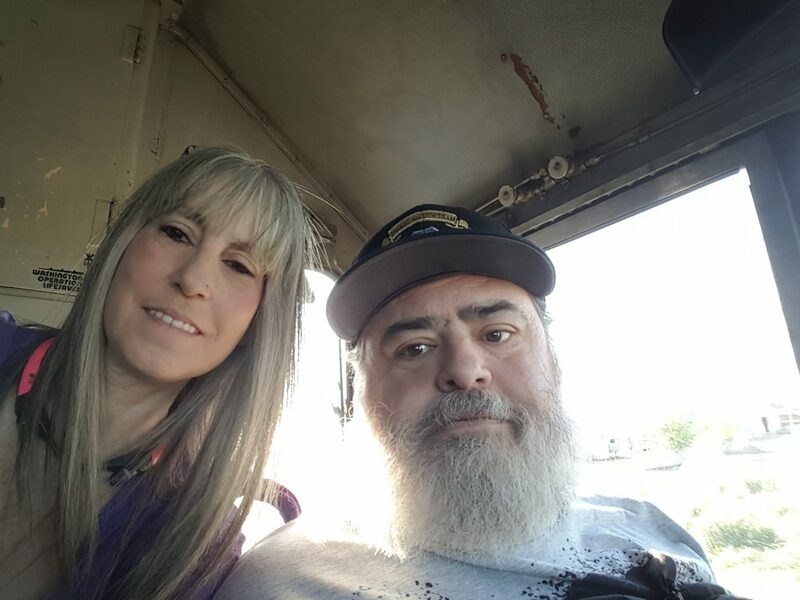 Steven- (Bile Duct Cancer) Steven wanted to take a trip in an RV with his wife to visit family in CA. 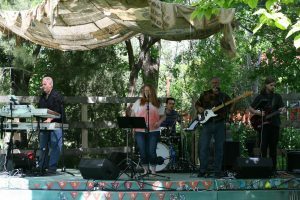 Lynda – (Breast Cancer) Lynda wanted to take a trip to Idaho City on a Harley. Hillary – (Breast Cancer) Hillary wanted to take a trip to Disneyland with her family. Randy- (Colon Cancer) Randy wanted to take a flight over the Treasure Valley. Diana- (Heart Disease) Diana wanted to visit her hometown in Anacortes, WA. 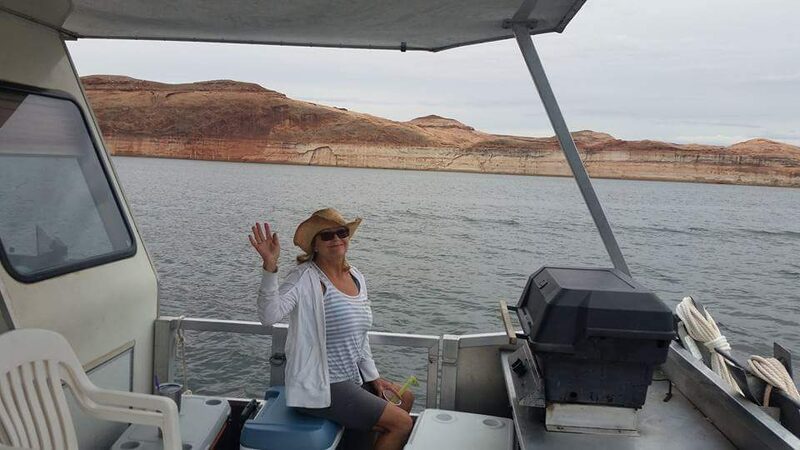 LeAnn- (End Stage Renal Diseasse) LeAnn wanted to visit her 3 sons in Seattle, WA. Ann – (Heart Disease) Ann wanted to attend her brothers memorial service in Colorado. 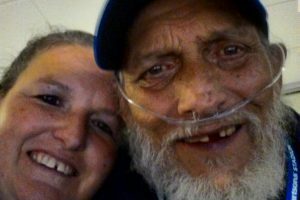 Sherman – (End stage Parkinsons) – Sherm wanted nothing more than to be home at his cabin on Warm Lake. 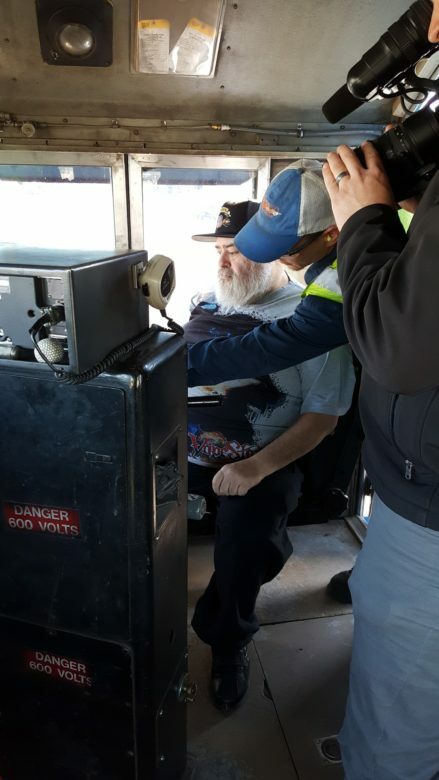 With help from RampIt Up Transportation and his hospice, we were able to make this wish come true. 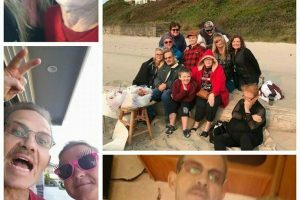 Michael – (Colon Cancer) Michael wanted nothing more than to be home with his family to be close enough to make more memories. 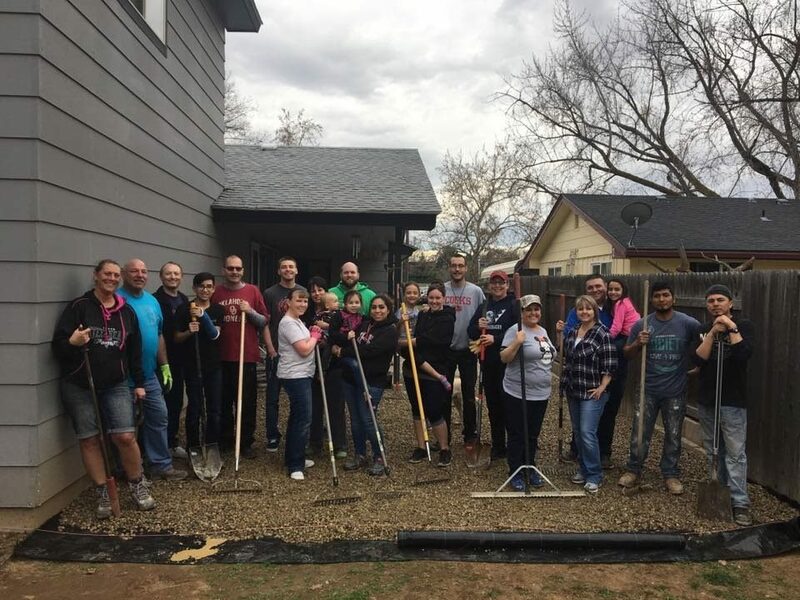 We were able to assist Michael, his wife, and 2 younger children move home to be with their family. Sam – (Prostate Cancer) Sam wanted to ride in the classic Italian car an Alfa Romeo once again. With help from a generous man named Max, Sam was able to go for a ride in both a 1970 Alfa Romeo Guilia Super Biscione 1600 AND 1963 Alfa Romeo Giuliette Berlina T.I. 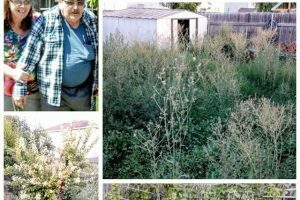 Jerry – (Leukemia) Jerry wanted his backyard landscaping touched up for his wife. With help from some wonderful volunteers we were able to have this wish come true. 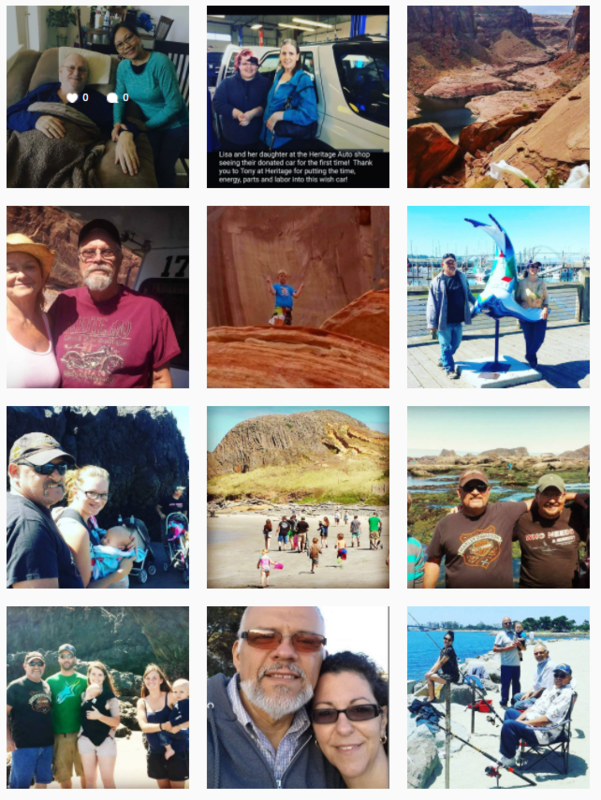 Eugena – (End Stage Renal Disease) Gena wanted a tablet to do genealogy research and connect with her family in Utah on social media. We were able to purchase a Fire HD tablet for her and deliver it to the life care facility she is living in. Lynn – (CHF, Cardiomyopathy) Lynn was also born with a club foot and has had to have custom made boots to fit his needs. The work boots he had weighed 11 pounds total and Lynn wanted lighter weight custom boots. 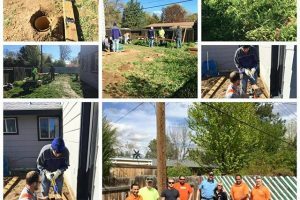 Thanks to Rosendahl we were able to grant Lynn’s wish. 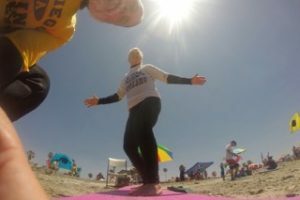 Carrie – (Cervical Cancer) Wanted to share her story to impact someone’s life and inspire them to be screened for cancer, avoiding a late stage cancer diagnosis. With the help from Blue Chip Media we were able to complete her wish with a beautiful video to share. Jeff – Wished to meet Gene Simmons from the band KISS. He was not only able to meet him, but also Drummer Eric Singer. Thank you to Dennis Combs and his Co-pilot Will for flying them in the Combs plane to Burbank, California where Jeff and his wife Wendy had rockin’ good time! 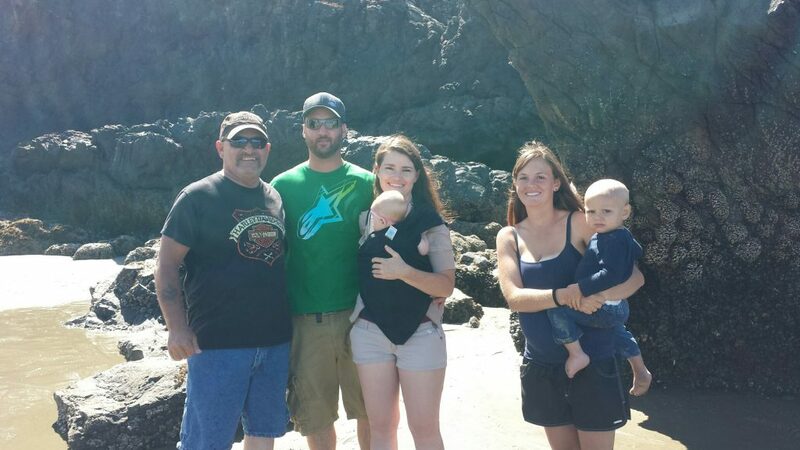 Angela – (Cancer) Wished to bring her daughter and son in law from California to stay and visit with her , we were able to purchase two airline ticket for them to both come stay and visit with Angela. 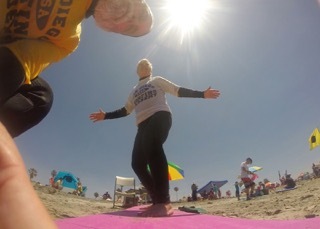 Vanessa – (Cancer) Wished for a split adjustable bed to sleep near her husband . 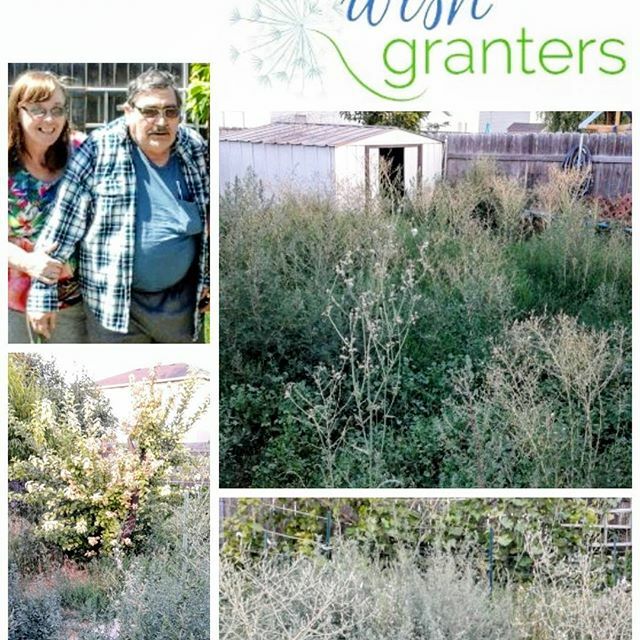 We granted this wish with the help of Meridian Home furnishings donation of a California King split adjustable bed so Vanessa can now sleep next to her husband again. Brent – (Cancer) Wished for a 55 inch 4k Smart Television , thanks to Best Buy discounting the Television we were able to grant Brent’s wish. 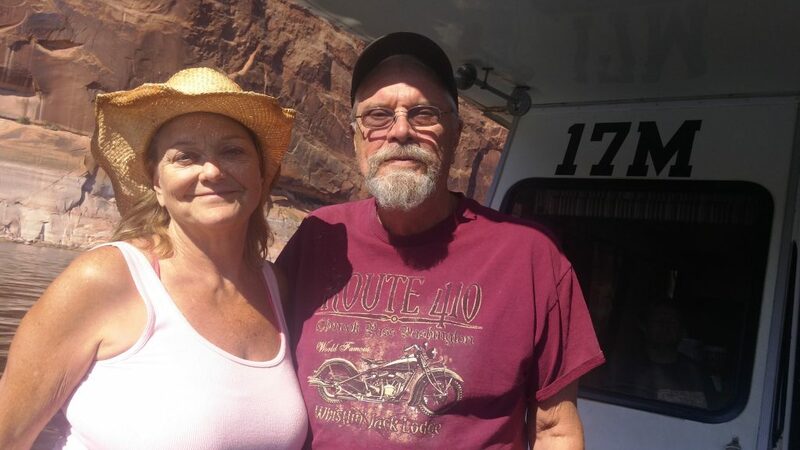 Peter – (Renal Failure) Wished to go to Jackpot, NV with his wife Mable and celebrate their 56th wedding anniversary at Cactus Petes Resort Casino and The Horseshu Hotel Casino. We provided some spending money & thanks to Cactus Pete’s Resort donation of two nights stay & dinner for four adults he was able to go enjoy his wish. 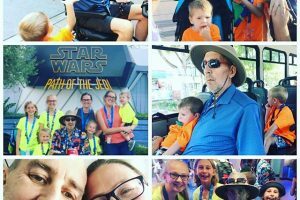 Laura – (Breast Cancer) Wished to take a family trip with her husband & 9-year- old son to Universal Studios. 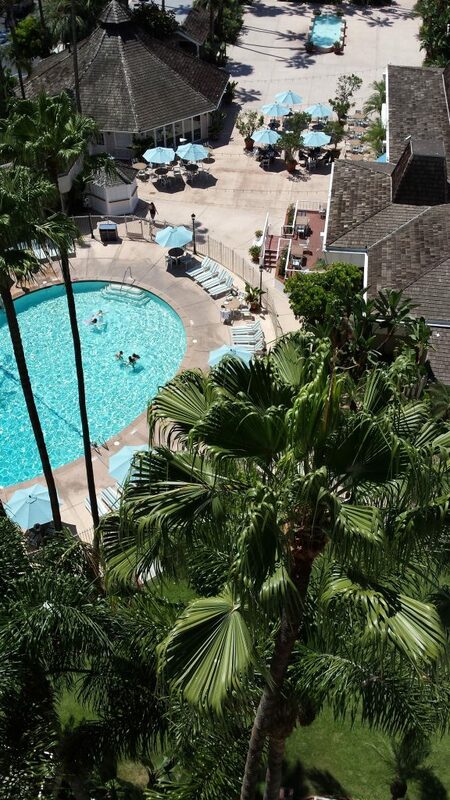 We purchased the airfare & Universal Studio tickets ; thanks to Karmel Shuttle’s donation for transportation to/from the airport and Hilton Los Angeles Universal City’s donation of three nights stay Laura & her family were able to go to Universal Studios and have a great time. 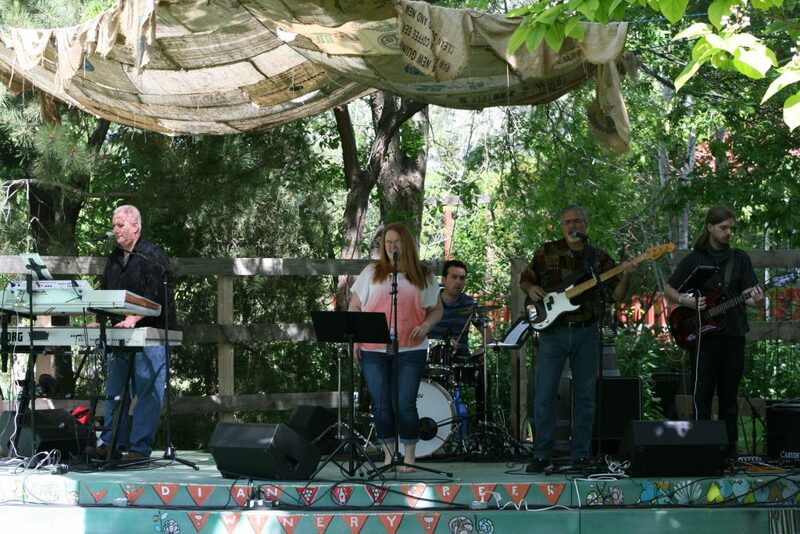 Keith – (Cancer) Wished to have an old awning torn down and a new one built in his backyard. 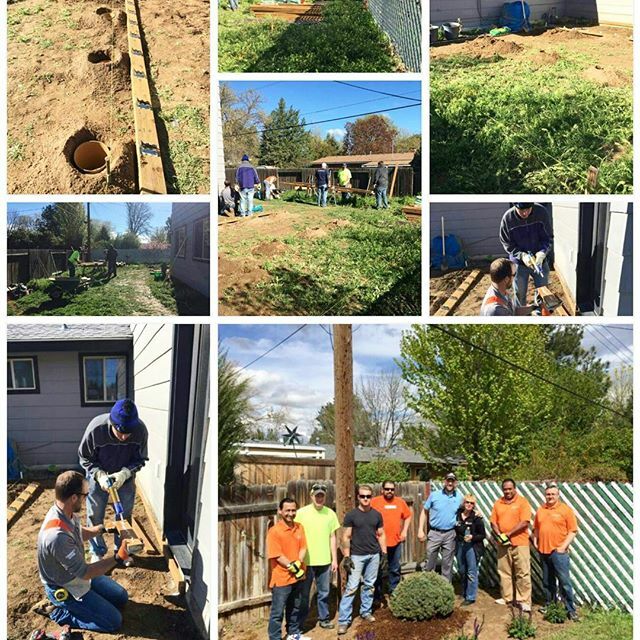 We purchases part of the supplies, Home Depot donation of part of the supplies & Skills USA Idaho donated all of the labor. Ryan – (Brain Cancer) Wished for a gaming laptop. We were able to fulfill his wish and buy his laptop & a carrying case at a discounted rate thanks to Best Buy. Steve – (Malignant Melanoma) Wished for a Steak Dinner from Lock Stock and Barrel. We purchased two steak dinners and delivered to him so he could enjoy a nice steak dinner with his roommate at the life care center. 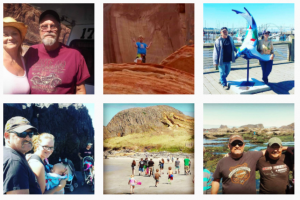 Gary – (Prostate Cancer) Wished to go on a country drive and get a bite to eat. 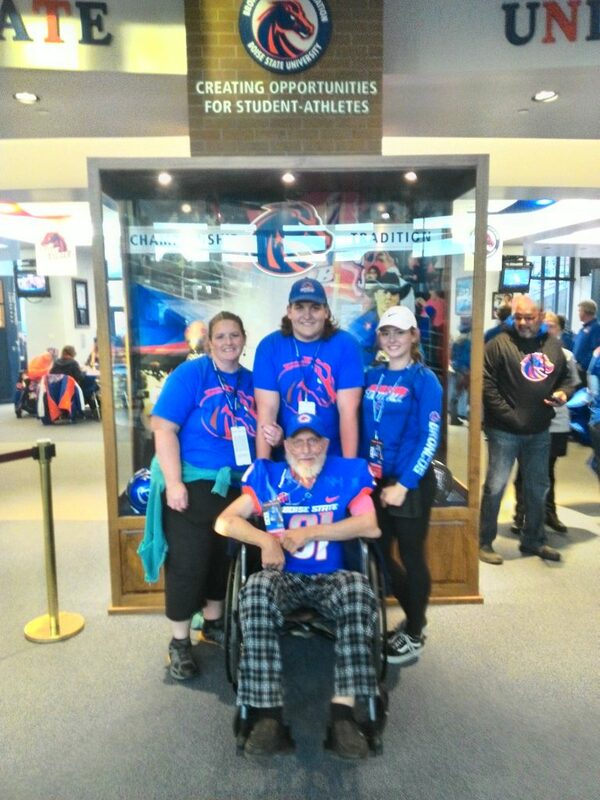 Tracy – (Lung Cancer) Wished for him & his family to attend BSU game. Sandra – (End Stage Renal disease & Heart Failure) New floor to be installed in her kitchen and bathroom , while this was in progress her heater went out -she wished for heater instead, she was granted both the flooring and heater. 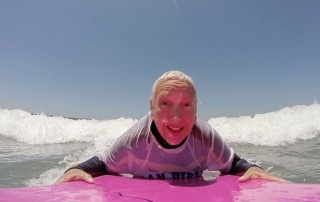 Mable – (Heart Failure) Wished for a new hearing aid. 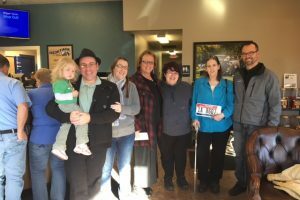 Maria – (Heart disease) Wished to have skirting placed and a heat lamp around her fifth wheeler that she lives in so her pipes wouldn’t freeze. 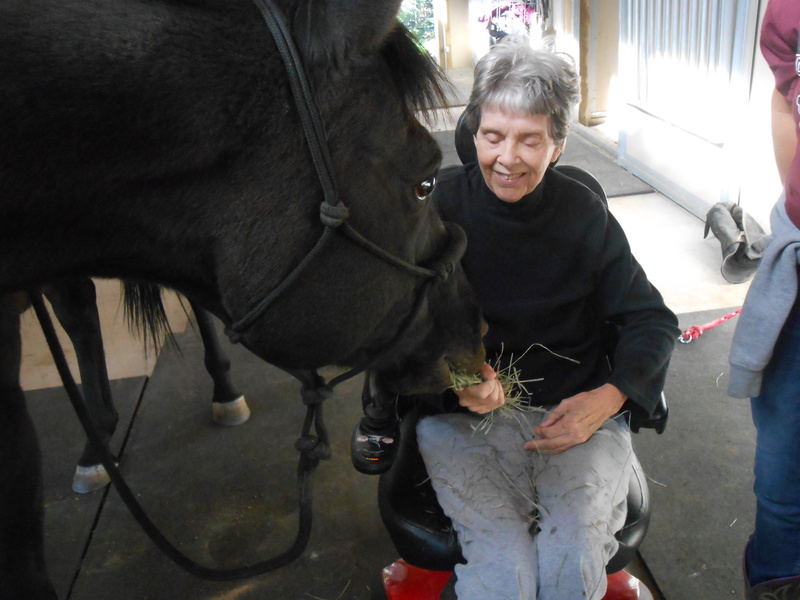 Christine – (Heart Disease) Wished to spend time around Horses. 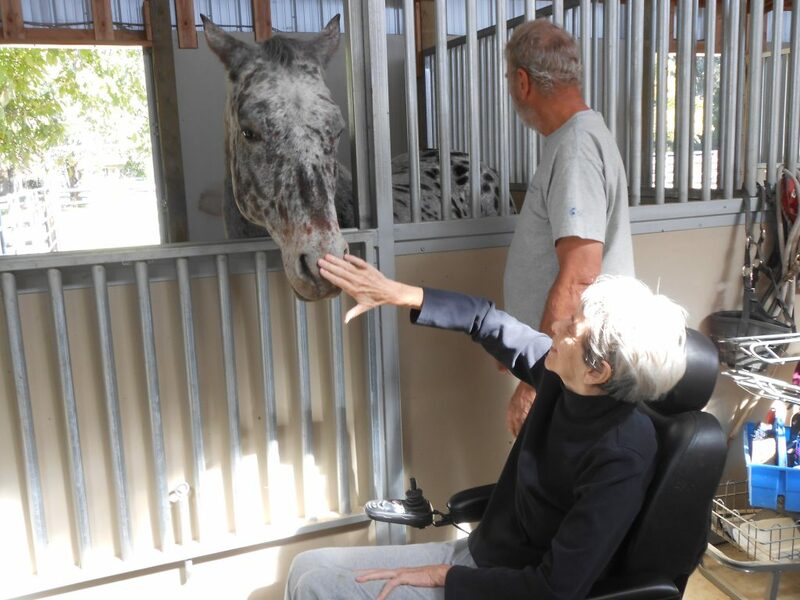 She visited Horses on October 2017. 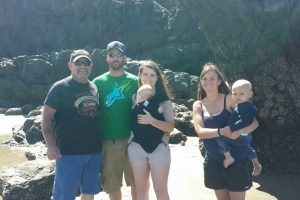 Archie – (Cancer) Wished and was able to visit the Oregon Coast with Family September 2017 . 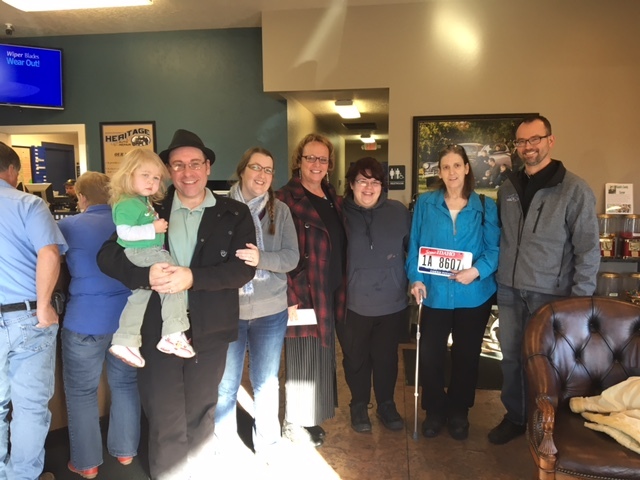 Thank you to Rent for Fun in Nampa, Robben Rent a Car , & Inn at Wacoma Lincoln , Oregon. Reva & Zee the Cat – (Cancer) Wished to have her Cat name Zee to be taken to her long term friend so he could live a life in his new home in the Boston area. Thank you Linda who Donated her time to take Zee and to Hilton Garden Boston Logan Airport for giving the room for Linda to stay in for the night . Also thank you to Kool Oldies Radio and sister Company The Bull. Michael– (Myotonic Dystrophy) A Mounted Television on the wall; now he can watch his programs from multiple view areas . Special mention to Best Buy for making it more affordable! 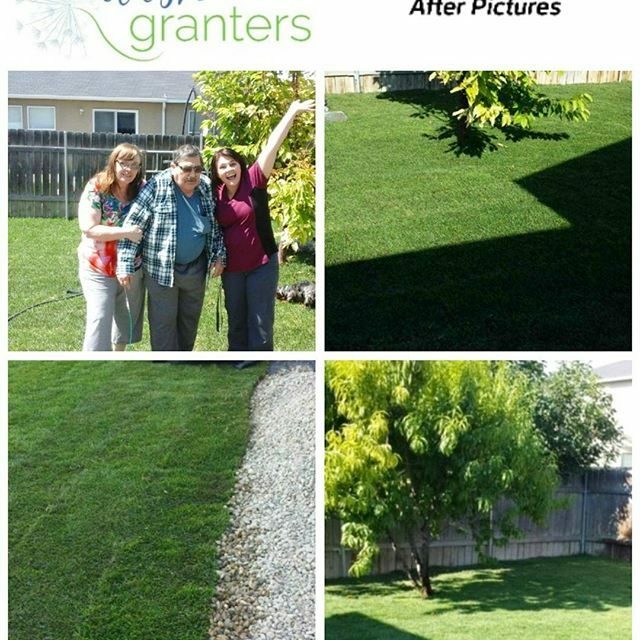 Floyd – Wished granted for a remodeled backyard. 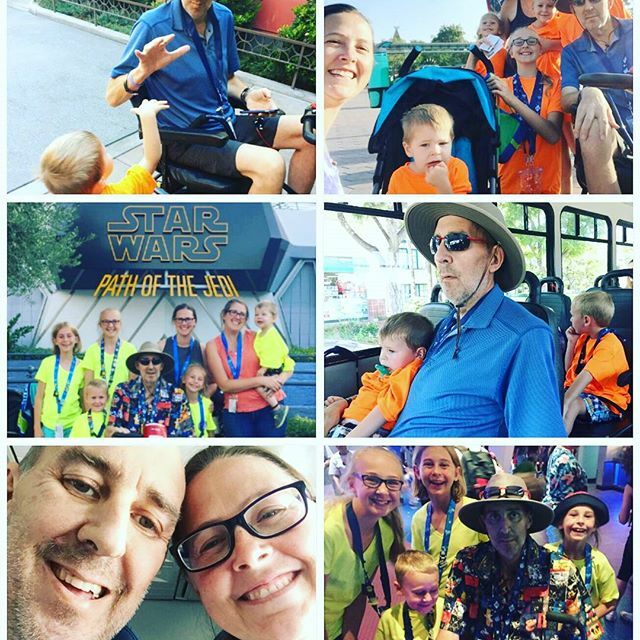 Scott – Wished granted to go to Disneyland with his family. Thank you to Disneyland for helping donate to make this wish come true. 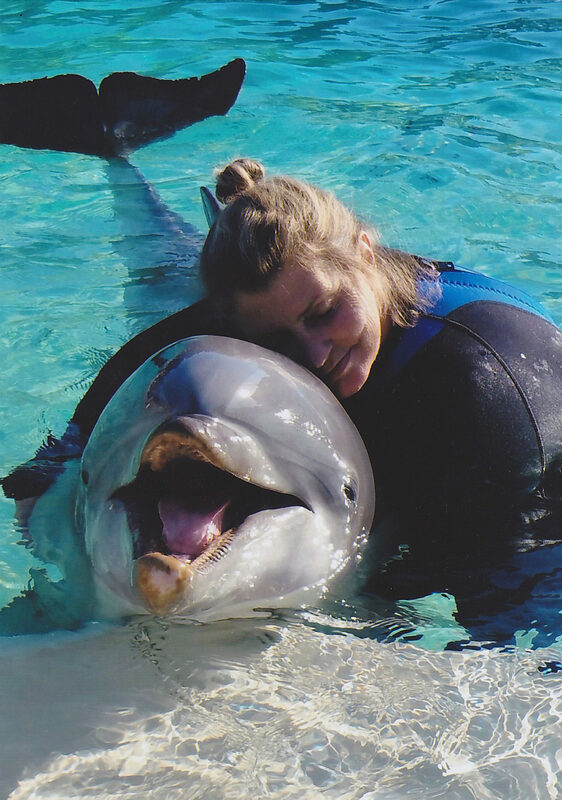 Janet – (Cancer) Wished to go to Lagoon with her family. 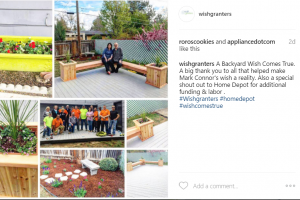 Mark – (Cancer)Wished granted for a remodeled backyard. 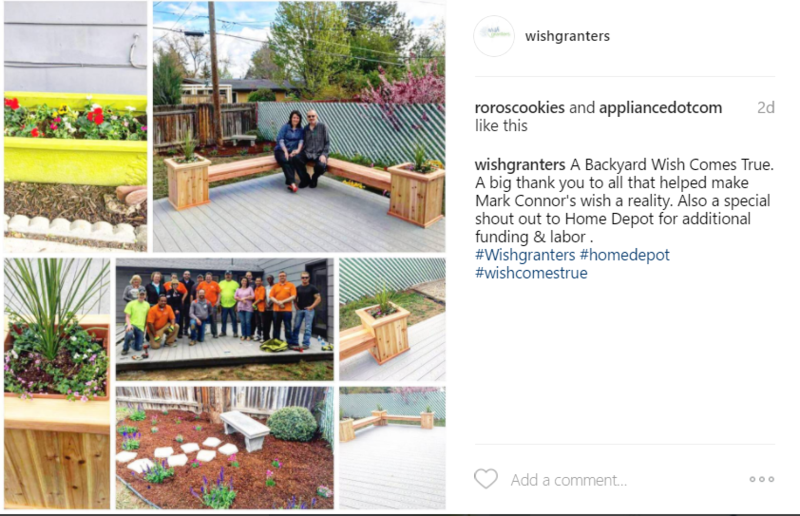 A huge thank you to Home Depot for helping make this wish happen.